"Not Man Apart Physical Theatre Ensemble with new Co-Artistic Directors Jones Welsh, Aaron Hendry and Laura Covelli, in association with the Greenway Arts Alliance and Producer Jason Bruffy, present the revival of their thrilling production of Ajax in Iraq, Ellen McLaughlin's edgy action drama set in U.S. occupied Iraq, as the first Resident Company production at the Greenway Court Theatre, opening on July 15 for a five-week run. 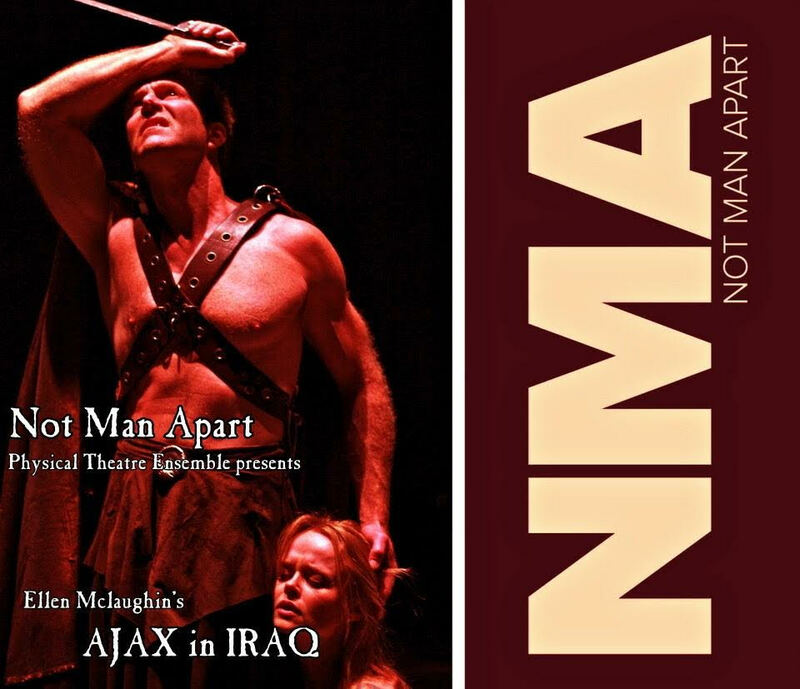 Raw, dynamic, heartfelt, and volatile, Ajax in Iraq parallels the lives of ancient and modern heroes. This stunning physical drama grapples with issues that have become all too well known to the American public – sexual abuse against women in the military, war of occupation, post-traumatic stress disorder, and the price of committing combat troops to situations that may have no end. Ellen McLaughlin’s electrifying play intertwines the story of A.J., a female U.S. Army combatant, with the legend of Ajax, a Greek Hero of the Trojan War whose story is said to be the first documented case of PTSD. The result is shocking, captivating, strangely humorous, and relentlessly honest." For more information, check out http://www.greenwaycourttheatre.org/ajaxiniraq/.